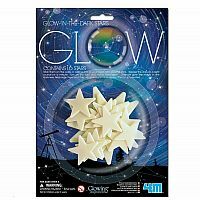 Decorate walls, lockers, or just about anything with this set of glow in the dark plastic stars. 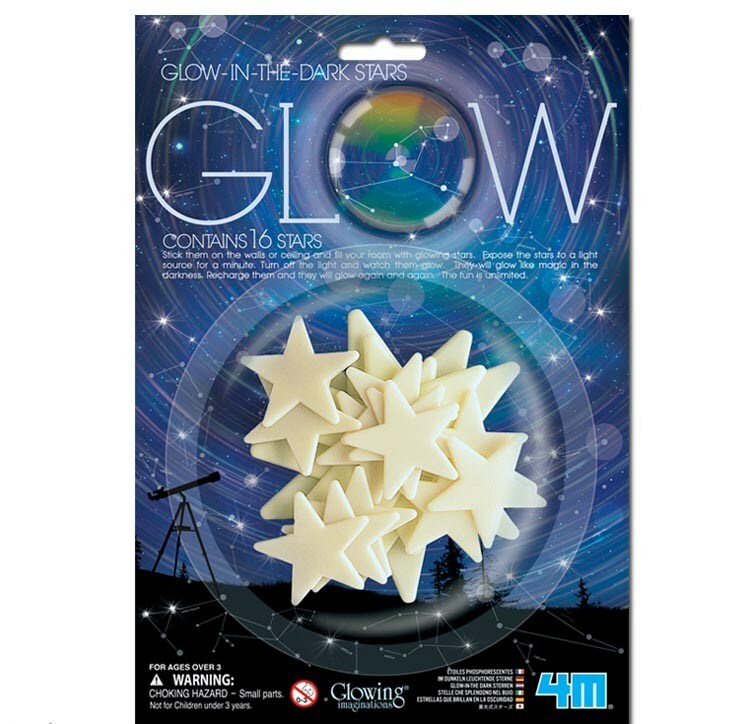 Set includes sixteen stars of assorted sizes, from 1.5 to 3.5 inches. Adhesive included.